The story is so far-fetched, so unbelievable to the current members of La Jolla CC that many pass it off as apocryphal. Except it’s been written down and reported as fact in the annals of the club’s history. 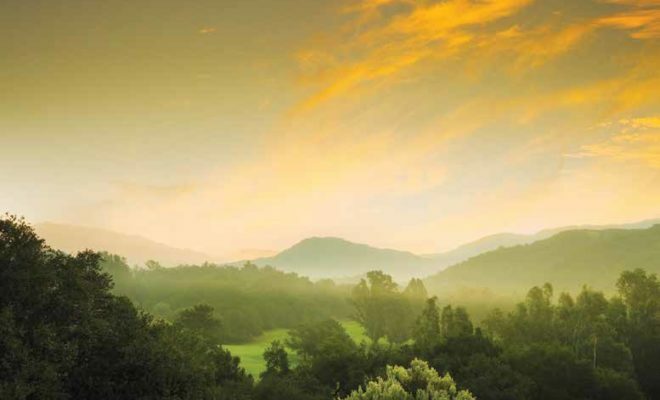 In 1959, club members were asked to vote on a proposal to purchase 350 acres, at $1,000 an acre, in Carmel Valley, which is north and east of La Jolla, in the middle of what was then nowhere. There were four proposals on the table, and the one that got the most votes — 87 of 236 respondents — called for building a new, longer course on the Carmel Valley site and selling the La Jolla land, whose location on a hill overlooking the Pacific Ocean was getting more attractive by the year for developers. Pete Coe, who was La Jolla’s head pro for 31 years before retiring in 2013, scoffed at the notion. “That was never going to happen,” he said emphatically. The members, or certainly the club’s board at the time, came to their senses. It was decided they’d stay put, and membership became far more valuable. It was $1,200 in 1959 and rose to $7,500 a year later. 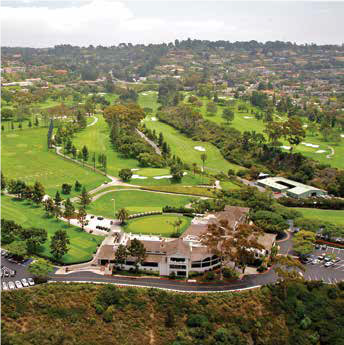 Since then, La Jolla CC has been so popular and revered that it’s one of the few country clubs in San Diego to have maintained a waiting list to join (although, like most other clubs, there was an exit ledger in the aftermath of the Great Recession in 2008). If the club had moved in the 1950s, so many incredible things probably would not have happened: Paul Runyan, an SCGA Hall of Famer who won two PGA Championships, and Phil Rodgers, his shortgame guru disciple, wouldn’t have taught here; two other SCGA Hall of Famers, Gene Littler and Craig Stadler, wouldn’t have grown up at La Jolla, honing skills that would win them major championships; notable amateur championships would not have been staged; and Phil Mickelson wouldn’t have produced some incredible club moments and become the course’s most beloved denizen. After all, when Mickelson finally earned his first green jacket by winning the 2004 Masters, La Jolla hosted his homecoming celebration. 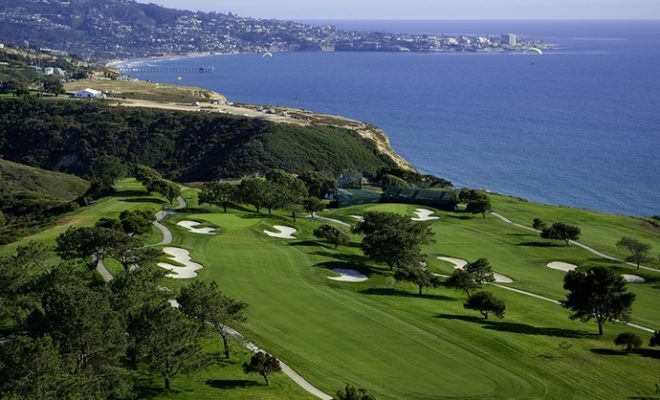 La Jolla CC will be in the spotlight again this summer when it hosts the 119th SCGA Amateur Championship (July 13-15). 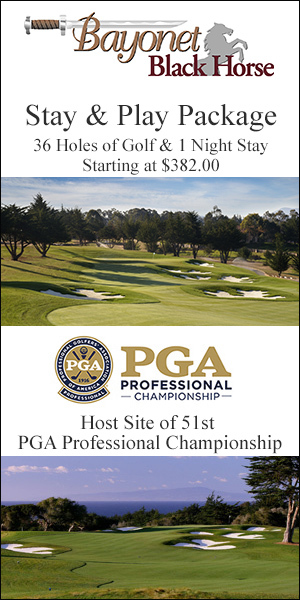 It will be the third time the SCGA Amateur has been staged here. Doug Clarke, an 18-year-old La Jolla member, captured the 1977 edition, and future PGA TOUR pro John Merrick — then a sophomore at UCLA — won the title in 2001. La Jolla CC’s history was laid out in a 2006 book published in celebration of its 80th birthday. 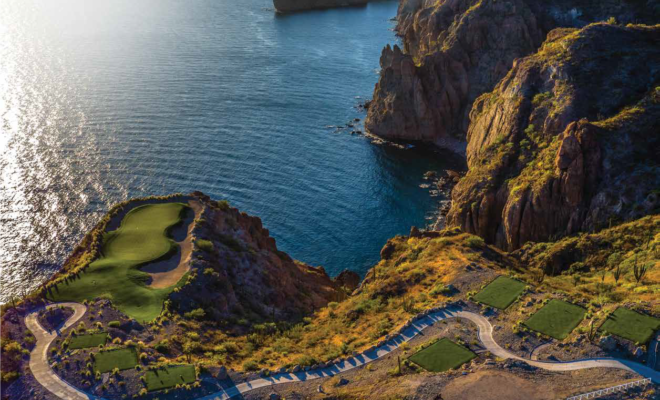 The club was incorporated and opened in 1927, with the prolific William Bell being paid $4,000 to create a layout, costing $84,000, that rolled up and down through a couple of narrow coastal canyons. Its marked characteristic were its small, tilted greens. 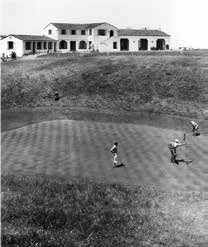 La Jolla CC’s honeymoon was short-lived because the Great Depression hit in 1929, and it would struggle to remain solvent for the next decade. 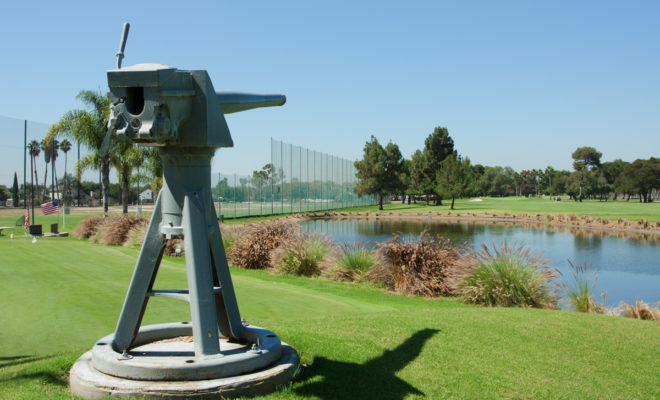 World War II brought golf royalty to La Jolla, with Sam Snead, Jimmy Demaret and Jackie Burke Jr. frequently playing with members while serving in the military. Burke sometimes hoofed it over 36 holes on each weekend day before returning to the Marine Corps on Monday. Before Littler’s emergence, the club had already produced, arguably, it’s greatest golfer. Mickey Wright’s father was a La Jolla member, and his daughter picked up her first club when she was 4 years old. Young Mickey had her first lessons with La Jolla head pro Johnny Bellante in the mid-’40s, and she won a couple of club championships before setting off on a Hall-of-Fame professional career in which she won 82 tournaments and 13 majors. Among the other professionals La Jolla produced were Chuck Courtney, John Schroeder and Lennie Clements. However, no one is more beloved than Mickelson, an honorary member. Growing up in San Diego, Phil was a public golfer, only playing the private courses occasionally during tournaments. 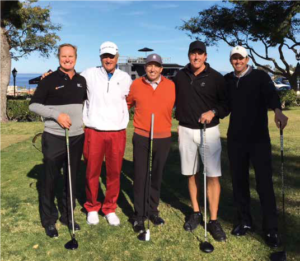 But Mickelson and Coe struck up a friendship while Mickelson was still in his teens, and it has endured over the entire course of Mickelson’s Hall of Fame career, which includes five major championships. Three months after his first Masters triumph, Mickelson set the La Jolla CC course record by making nine birdies and two eagles to shoot 60. His last five holes: birdie, eagle, birdie, birdie, birdie. Mickelson missed a 59 because he three-putted the par-4 ninth. “I’ve never seen a round of golf played like that in my 40 years of golf,” Coe said at the time. The round, however, is almost a footnote for Mickelson because of another feat — also with Mickelson’s lucky charm, Coe, on hand. Playing in the 2003 “Beat the Pros” member-guest tournament with Coe, his brother Tim and former junior golf rival and La Jolla member Harry Rudolph III, Mickelson drew a crowd around the tee of the 305-yard, dogleg-left opening hole. The left-hander pounded a driver, the ball landed just short of the green and rolled up and into the cup for the first albatross of Mickelson’s life. A $45,000 Jaguar had been put up for a hole-in-one prize, but there was a catch: The ace had to come on a par-3. Another famous double-eagle was scored by Junior Seau, the late San Diego Chargers great. Playing a round in the spring of 2001, Seau used a rescue club from 230 yards to hole out on the 466-yard par-5 15th. With little room to stretch out, La Jolla has never challenged players with its length. It totals 6,690 today from the tips. 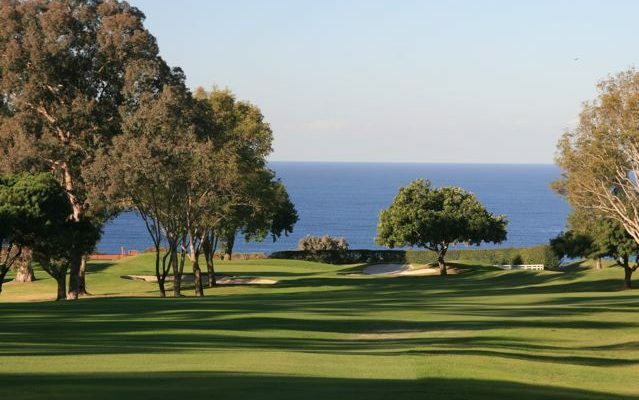 Renovated at junctures by Rees Jones and San Diegan Cary Bickler, its defense has always been its small, poa annua greens and wiry kikuyu rough that often causes even professionals to misjudge their distance. 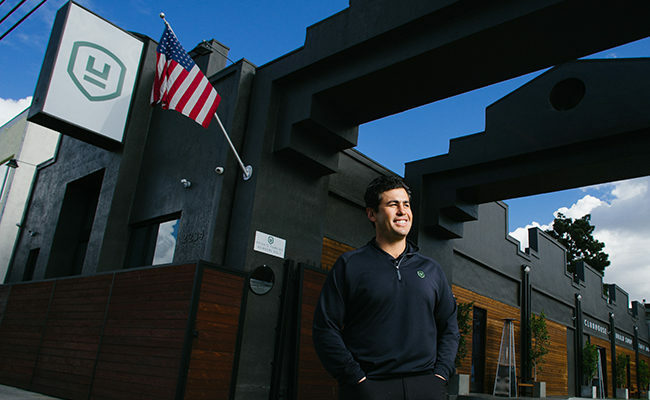 “It’s part of the classic charm of the place, to see people have days where they can burn it up,” said La Jolla head professional Clint Whitehill. In winning the 2001 SCGA Am title with a final score of 280, Merrick had to overcome one round of 74 with a 67. His final round 70 gave him a 2-stroke victory. Technology and length have advanced considerably in 17 years, so Whitehill is fascinated to see what the competitors will shoot this time around. Saying that Harry was a “former junior golf rival” shows little to no respect for his accomplishments. Harry wasn’t just a “junior golf rival.” Harry is in the Hall of Fame at the University of Arizona. Harry’s 1992 team at Arizona won the NCAA Championship. Harry placed second individually to…you guessed it, Phil Mickelson. Harry’s rounds were 71-69-66-72 (or 10 under par). Harry also played on several professional golf tours, including the PGA Tour. Tod Leonard knows better.